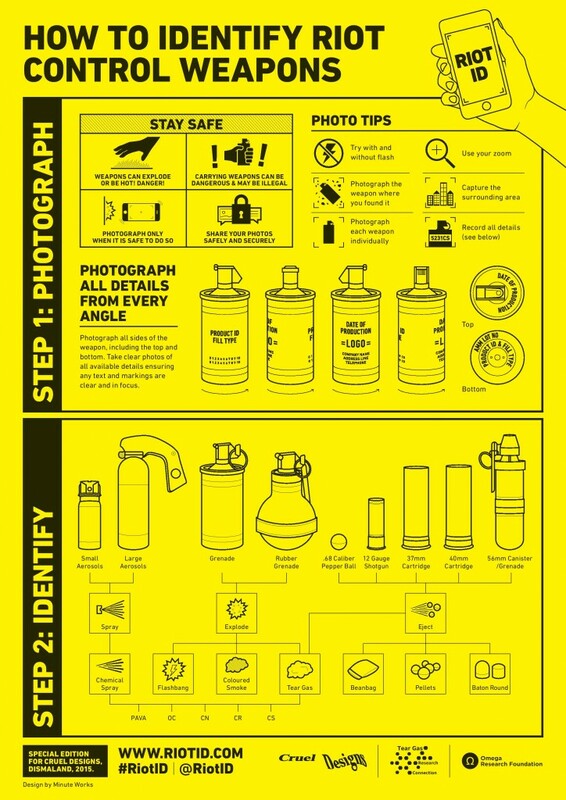 “How to Identify Riot Control Methods,” special edition for Cruel Designs, Dismaland, 2015, design courtesy Minute Works, courtesy Gavin Grindon. In the post-occupy cycle of struggles, some aspects of autonomous social movements have begun to experiment with institutional engagements, with political parties and other existing institutional political forms. In parallel, activist-artists have also begun to recently engage with art institutions in a new way, attempting to leverage them as public spaces to expand counter-power, rather than simply rejecting them as monolithic sites of recuperation and enclosure. Gavin Grindon will present some recent projects by a network of groups, including Liberate Tate, whose work is showcased in the exhibition, and explore some of the potential of this new political engagement with museums. Gavin Grindon is Lecturer in Contemporary Art and Curating and Director of the Centre for Curatorial Studies at the University of Essex. In 2015, Gavin curated The Museum of Cruel Designs and Guerrilla Island at Banksy’s Dismaland, and in 2014 Disobedient Objects at the Victoria and Albert Museum in London. His writing has been published in journals including Art History, The Oxford Art Journal and Third Text.